VATICAN CITY (Reuters) – Pope Francis, on the eve of the most contested papal writing in half a century, said on Wednesday that all should help to save “our ruined” planet and asked critics to read his encyclical with an open spirit. In the highly personal and eloquently written 192-page “Laudato Si (Be Praised), On the Care of Our Common Home”, Francis dives head on into the climate change controversy, which has won him the wrath of sceptical conservatives, including two Catholic U.S. Republican presidential candidates. On Tuesday, Jeb Bush, a convert to Roman Catholicism, said: “I don’t get my economic policy from my bishops or my cardinals or my pope”. 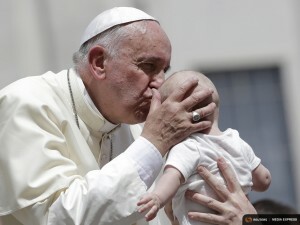 The document is the Church’s most controversial since Pope Paul VI’s 1968 encyclical Humanae Vitae enshrined the Church’s ban on contraception. Liberal Catholics oppose that ban but most have cheered the pope’s climate change stand. Conservative Catholics tend towards the opposite stand on the two issues. Because he has said he wants to influence a key U.N. climate summit this year, the encyclical further consolidates his role as a global diplomatic player following his mediation bringing Cuba and the United States to the negotiating table last year. The release is timed to preceded his U.S. trip in September, when he will address the United Nations and the U.S. Congress on sustainable development. Most encyclicals are addressed to Catholics but Francis repeated on Wednesday that he wants a wider audience. “This home of ours is being ruined and that damages everyone, especially the poor,” he said at his weekly general audience. “Mine is an appeal for responsibility … I ask everyone to receive this document with an open spirit”. A leaked Italian draft was published on Monday by the weekly L’Espresso. The Vatican has said it was not the final version but any differences are expected to be cosmetic. The title is taken from “The Canticle of the Creatures”, a hymn by St. Francis of Assisi in praise of creation. The Argentine-born pope took his name from the 13th-century saint. Francis squarely backs scientists who say global warming is mostly man-made and says developed countries have a particular responsibility to stem a trend that will hurt the poor the most. In the document, divided into six chapters, the fist pope from Latin American says the world could see the destruction of entire ecosystems this century without urgent action on climate change. 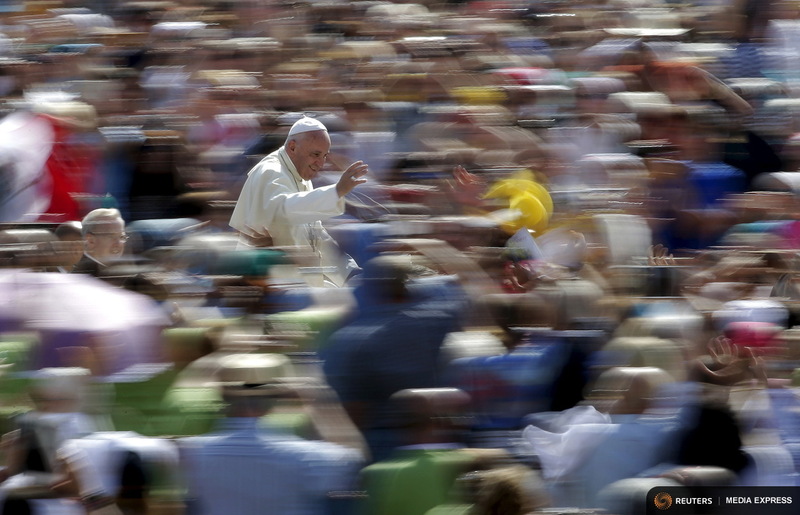 By making environmental protection a moral imperative, Francis could spur the world’s 1.2 billion Catholics to lobby policymakers on ecology issues. Father Thomas Reese, a leading U.S. Catholic commentator, said it will raise the climate conversation to a new level for Catholics. “Suddenly, you’re not just doing it for the polar bears, you’re doing it for God,” he said. Francis confronts climate change deniers head-on in several passages in the leaked Italian draft. He says there is a “very consistent scientific consensus that we are experiencing a worrying warming of the climactic system”. While there may be other factors such as volcanic activity and solar cycles, he says, numerous studies have shown that global warming is caused by greenhouse gases “emitted mainly because of human activities”. The situation will only worsen unless there was a shift away from “a model of development based on the intensive use of fossil fuels, which is at the centre of the world energy system”. He says so-called carbon credits are not effective and access to drinkable and secure water is an essential human right. He also condemns the disproportionate use of natural resources by some countries. “Reducing greenhouse gases requires honesty, courage and responsibility, particularly by the most powerful and most polluting nations,” he says, according to the leaked text.